Speed Racer is one of the most recognizable anime of all-time and fully deserves its entire series in one “ultimate collection” for fans to watch and experience. Funimation has not only collected over 100 episodes of the classic series, but this collector’s edition is made even more special special with the first-ever U.S. release of the Mach Go Go Go series. The Speed Racer Collector’s Edition retails for $299.98, which is admittedly a bit steep, but if you consider yourself the biggest Speed Racer fan, then this collection is worth the price. 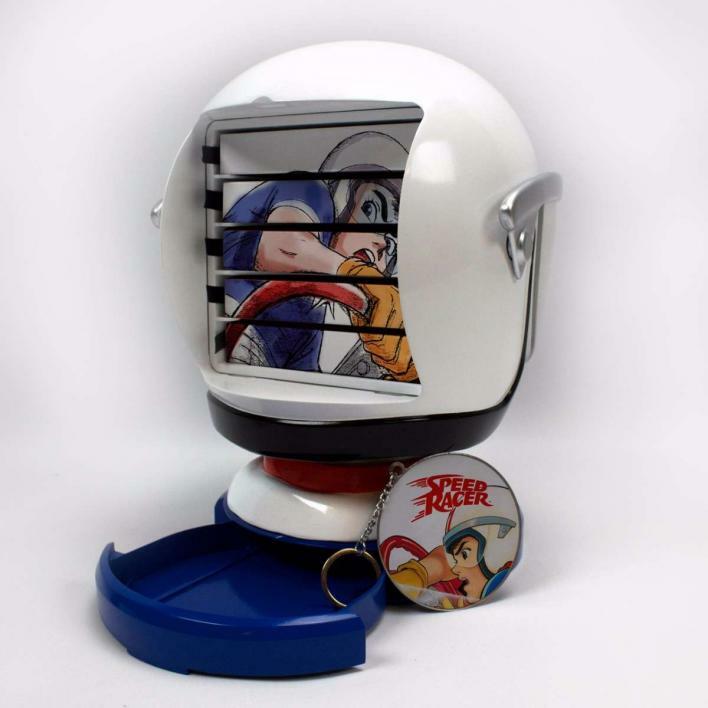 The collectible Speed Racer bust itself is an awesome way to show off your series fandom. It’s very sturdy and doesn’t weigh too much. The sound effects that come out of the bust are neat, but the volume is very low in volume. Often I had to push the button again to actually understand what the bust was saying. Behind the bust is a compartment that houses all 26 discs. Every disc case is labeled to make it easy to search for a specific episode and they can easily slip in and out, which is great because the bust is not something you’ll want to carry around with you—it’s rather large. As for the contents of the discs, the entire Speed Racer, Mach Go Go Go and Mach Go Go Go: Restart combine to boast over 3000-minutes of content to consume. Again, the big draw here is the U.S. release of Mach Go Go Go, a series that took so long to make its way stateside. Each episode has been remastered for 1080p and the audio in both English and Japanese sound as crisp as it’s ever been. The bonus interview with Connie Orr, the voice of Trixie, is also a great touch that fans of the show would want to listen to. 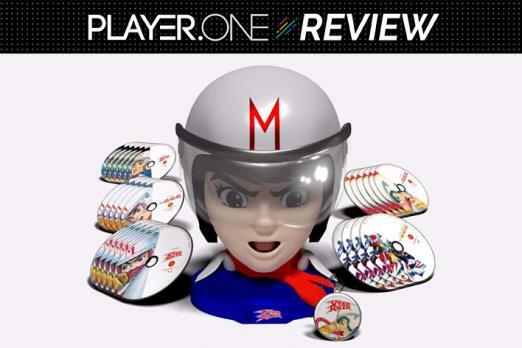 The Speed Racer Collector’s Edition is something any diehard fan of the series will want. Having every episode of the series is great, but the biggest draw is having access to the Mach Go Go Go series. The bust and the packaging is also something that fans of Speed can present proudly. However, the price is very steep and casual fans of the series or anime will not want to pony up the cash for it. But if you or someone you know can’t stop talking or thinking about Speed Racer, then this is definitely the ultimate collection they are looking for.